Comment: Item may have minor cosmetic defects (such as marks, wears, cuts, bends, or crushes) on the cover, spine, pages, or dust cover. Shrink wrap, dust covers, or boxed set case may be missing. Item may contain remainder marks on outside edges, which should be noted in listing comments. Item may be missing bundled media.Fast Amazon Shipping plus a hassle free return policy means your satisfaction is guaranteed. Tracking number provided in your Amazon account with every order. Art critic John Ruskin enthusiastically proclaimed her potential as one of the best artists of the nineteenth century, but Lilias Trotter's devotion to Christ compelled her to surrender her life of art, privilege, and leisure. Leaving the home of her wealthy parents for a humble dwelling in Algeria, Lilias defied sterotypes and taboos that should have deterred any European woman from ministering in a Muslim country. Yet she stayed for nearly forty years, befriending Algerian Muslims with her appreciation for literature and art and winning them to Christ through her life of love. "I am astounded by ... the beautiful expression of who Lilias was and what her legacy teaches us. I couldn't put [the book] down, as they say, and I read it--devoured it--carefully, gladly, and with great blessing ... a "drop everything book"! "Miriam Rockness [has done] a painstakingly superb job of researching original documents. Her book is [filled] with quotes that will challenge the reader's faith and obedience to God ... A fresh look at another one of England's distinguished missionary pioneers." This is the story of the woman whose life of faith and devotion inspired the hymn "Turn your Eyes Upon Jesus". Although art critic John Ruskin enthusiastically proclaimed Lilas Trotter's potential as one of the best artists of the nineteenth century, her devotion to Christ compelled her to abandon the life of art, privilege and leisure she could have enjoyed. Without knowing the language and without the sponsorship of any organization, Lilias left her London home of comfort for a modest dwelling in Algeria, where her love of literature and art became dynamic tools for evangelism, and where her compassionate heart captured the hearts of the people. For forty years, despite frail health and many obstacles, Lilias devoted herself to missionary service among the people of Algeria through her lifestyle of love and encouragement. "(Christians') works do follow them." wrote Lilias. In writing of this truth, she prophetically supplied a perspective of her own legacy--and the legacy of all who invest in the kingdom of God. 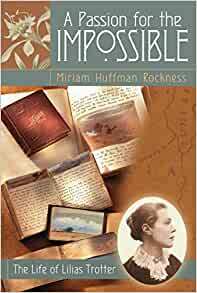 Start reading A Passion for the Impossible: The Life of Lilias Trotter on your Kindle in under a minute. 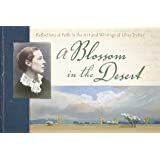 Until a friend lent me her copy of the biographical movie, I had never heard of Lilias Trotter--her courage, her artwork, her passion for God, or her mysterious connection to John Ruskin. After I'd watched the movie several times, partly for more glimpses of the stunning watercolors in her journal, I knew I needed to get it myself for my collection. 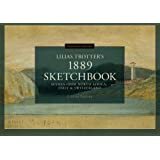 Lilias Trotter was an ordinary and yet quite remarkable woman whose self-taught adeptness at watercolor while still a teen caught John Ruskin's attention. She became his protégé, friend, and confidante. Though he wanted even more of her for himself personally and for the world artistically, she fled the temptation of fame to serve her first Love, becoming a missionary to and champion of Muslim women in North Africa for 38 years. Though she didn't become famous in her time, her journals are full of the light and color of the world and people she saw and served until the end of her life. After viewing the wonderful film, "Many Beautiful Things" about the life of Lilias Trotter, I was interested in knowing more about her. Miriam Rockness has written a fascinating and much researched account of Lilias in this biography. 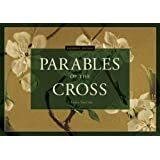 She skillfully weaves entries from her diaries and writings producing a beautiful tapestry representing the life of a good and faithful servant of God. I savored every page of her book and look forward to learning more about this brave and courageous missionary to the Arabs of North Africa. I believe that every sincere Christian would benefit from reading the life of this extraordinary woman. Her tenacious optimism in the face many disappointments on the mission field, due to her unrelenting faith in God, is a great witness to every believer. The Lord accomplished much through this courageous woman. The story of an outstanding Victorian woman artist who turned her back on a life of ease and fame in London to devote herself to the people of Algeria for the sake of Jesus Christ. 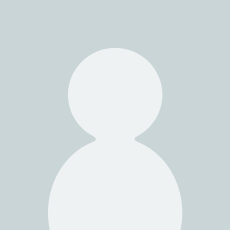 Already bilingual in English and French, she became fluent in Arabic and penetrated the interior of Algeria like no other European Christian on record, holding long conversations with the mystic Sufis of the Algerian desert. Much llike Amy Carmichael, whom she knew only through letters, Ms Trotter selflessly loved and ministered among the people she believed God had called her to until her death in the early 20th century. 5.0 out of 5 starsAn indestructable life. What a tragedy: this woman; truly one of the greatest of the late 19th-early 20th Centuries, is virtually unknown today! John Ruskin told the 15 year old Trotter, "You could be the greatest painter of the 19th Century!" She chose instead to spend the last 40 years of her life serving Jesus and the people of Algeria! Starting in 1888 she pioneered missionary methods that were 100 years ahead of her contemporaries. Michelle Dockery is her voice in the documentary of Trotter's life: Many Beautiful Things, which I also strongly recommend. Her artwork is displayed in a Blossom in the Desert also by Rockness. 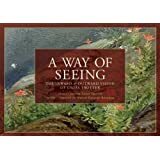 I read a quote by Lilias Trotter that led me to this book on her life. I believe that God often uses voices from the past to speak into the "now" of eternity---saints of old, whose lives and words transcend time to testify to his working throughout history. Lilias' works have followed her into the 21st century. Miriam Rockness leaves no detail out, capturing Lilias life, the day to day and the heart of her life as she followed the call of God forsaking the allure of fame. Lilias' passion for the life of God through Jesus is infectious for those willing to learn from her. Miriam's book is a treasure in that regard. 5.0 out of 5 starsA life lived for Jesus. This excellent book tells of the faith of a woman who would seek the the true treasures of Heaven, rather than the fame and fortune of this life. Her art was used to bring glory to Jesus, instead of herself. It tells how one life can impact some many other lives... forever. It is in her weakness that God's strength is seen. Whether in her pictures, words, actions, and even illness... God's hand could be seen in her life. Miriam Rockness has shared the lessons of Lilias Trotter's life with a new generation. Be encouraged... be inspired... be changed... be blessed!